Like many contractors these days, we’re delighted to be busy! The stringent new Title 24 requirements mandating that any new construction or remodeling project meet strict standards for reducing long-term environmental impact has created a lot of work for us. We’ve also been busy with a number of commercial projects throughout the Bay Area. Highlighted below is a project we did for Oakland’s Mulberry’s HOME, a lifestyle/furniture store, which opened in time for the holiday buying season. Roberts was pleased to work on this project for McCutcheon Construction and was brought in specifically for our expertise in commercial retail buildouts. The owners of Mulberry’s Market had back-burnered their dream of a high-end home store until the economy improved, and clearly, the time was right–happily, Oakland is on the move! When the husband and wife Chad Olcott and Laura Pochop opened Piedmont’s Mulberry’s Market seven years ago, they also dreamed of opening a high-end home store, but knew they’d have to wait until the economy got stronger. As they watched Oakland’s food and art scene exploding over the last few years, they knew it was time to realize their dream. 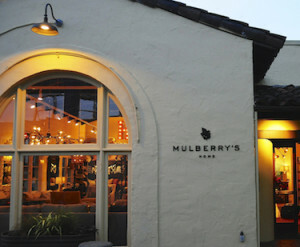 Mulberry’s HOME was born. As the electrical contractor, Roberts Electric completely rewired this old building off Piedmont on 41st Street with a state-of-the-art lighting control system to meet the complex new needs of a furniture/lifestyle store. We also installed energy-efficient LED track lighting to showcase merchandise, display outlets for chandeliers and warm exterior frontage lighting to accent the architectural windows that face 41st Street. Furniture, lighting fixtures, gift items . 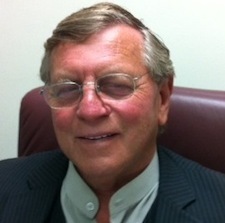 . .
“I have always loved home design,” Olcott said, “and Oakland lacked a quality furniture store with big items. We’re one of the very few places you can get furniture in Oakland. I believe we’re filling a need.” In addition to large items, Mulberry’s Home features many one-of-a-kind or limited quantity items. There are candles, rugs, lighting fixtures, dishes, seasonal gift items and a line of jewelry. Jeremiah Kost has been an electrician for more than 20 years, and in the two and a half years he’s been with Roberts Electric, he’s become a customer favorite. But something our customers probably don’t know about Jeremiah? 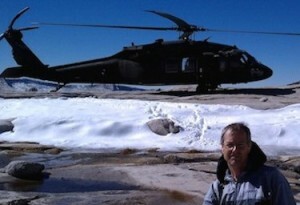 He’s a Search and Rescue (SAR) volunteer with the Contra Costa County Sheriff’s Office. There’s no schedule for people getting lost, so Jeremiah and his team are on call 24/7 for both local and mutual aid searches throughout the state of California. Searches generally fall into three broad categories: 1) Hikers; 2) People with dementia; and 3) At-risk children. The search areas range from urban to high mountain wilderness. Search efforts fall under the jurisdiction of the local Sheriff; when they have exhausted their own resources or when they know they will need an exceptionally large number of searchers, they call in SAR teams from other counties. It’s also the Sheriff’s decision to call off the search when resources and leads have been exhausted. On searches for hikers in remote areas, teams generally consist of three to five searchers and they carry Global Positioning devices (GPS). When they return to the command post, they download data that gets mapped to show where the searchers have been, helping to narrow the search parameters. “We love happy endings, but sometimes we don’t get there in time, and even experienced hikers get tired and sometimes make fatal mistakes.” Searches for elderly dementia patients are particularly difficult because they don’t follow normal thought processes and end up in very strange locations. Volunteers are required to attend anywhere from one to three academies, be certified in first aid, and participate in monthly team trainings. Jeremiah has been training/searching an average of 270 hours/year for each of the four years he’s been on the team. There are eight specialized units within CoCoSAR; and Jeremiah is a member of three: the Mountain Rescue Group, the Mass Casualty Urban Disaster Unit (USAR), and the Tracking unit. More information about CoCoSAR. Roberts Electric has been advertising on Marty Lurie’s weekend radio program on KNBR/680, the home of Giants baseball, for the last few years. When our customers mention that they’ve heard the ad, they invariably launch into a conversation about how much they love Marty’s show. Everyone loves listening to Marty because he knows so much about the game—the stats, the history and the legends—but there’s an intangible element that transcends the numbers. People love listening to Marty because like them, he loves baseball. There is a huge element of nostalgia associated with baseball; it’s so much more than a ball, a bat and a diamond, and Marty brings it all to life. He’s done more than 5,000 interviews over the course of his career. Unlike a lot of sportscasters, Marty is refreshingly noncombative. His callers invariably start each call with “Hi, Marty, I love your show,” and while Marty keeps the calls moving along, he respects each caller and is interested in what each has to say because many of these longtime fans are, like Marty himself, students of the game—always looking forward to the next game, the next series, the next draft, spring training and the promise of a fresh new season. Thanks for the Candlestick Memories . 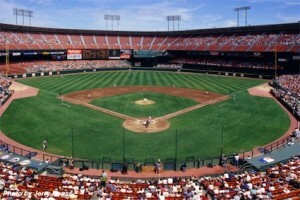 . .
that’s been the home to Hall of Fame legends like Vida Blue, Willie McCovey and the incomparable Willie Mays. 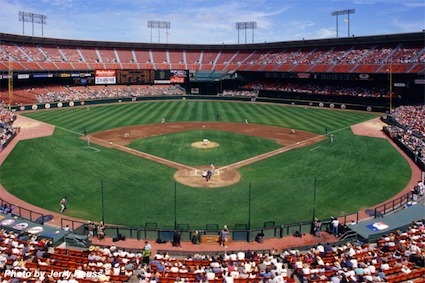 I remember one doubleheader at The ‘Stick against the Houston Colt 45s in 1967; Juan Marichal pitched one of the games and Willie Mays hit homeruns to win both games. When I couldn’t get to the Stick, I had an old green beat-up radio, and I used to listen to Russ Hodges and Lon Simmons call the games. I was also lucky enough to go to the A’s games during the Reggie Jackson heyday when they went to World Series. I continued my love of baseball by coaching my son for many years–from little league through All-Stars, where we won District and Sectionals one year. Being able to share this experience with my son is an experience that I will treasure. 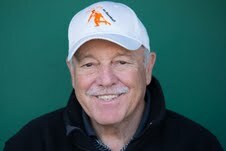 My being on the Board of Oakland’s Field of Dreams and our advertising on Marty Lurie’s weekend show are other ways that I continue to support my love of baseball. Summer is here, and those who live in East Bay communities know that air conditioning is a hog, accounting for 60-70% of your summer electricity bill. Those who live in places like Danville, Concord and Livermore know that you can’t completely eliminate your AC, but you can cut back significantly by using fans, running your AC less often and dialing it up a few degrees when you do run it. Turn off fans when you leave a room. Fans cool people–not rooms. A 2.5-ton central AC system uses about 3,500 watts. 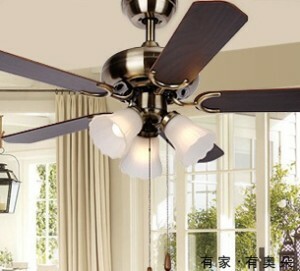 Turn off ceiling fans when you leave the room–fans cool people, not rooms. Fans create a wind chill effect. Clean or replace your AC filter every month. A dirty filter makes your AC work harder, which uses more electricity. When you shower or bathe, use the bathroom fan to remove the heat and humidity from your home. Ceiling fans cost less than you might think—beginning at $100 or so at your local home improvement store, and usually cost less than a penny an hour to run. Consider Energy Star fans—better performance, longer life and quieter, these fans use less energy and lower your electricity bill. Roberts Electric Owner Dan Pitcock was recently a panelist at a National Association of the Remodeling Industry (NARI) meeting, and our topic was LED lighting. We get a lot of questions about this fairly new technology that can be more efficient, durable, versatile and sustainable than more traditional incandescent and fluorescent lighting. LED is an acronym for light–emitting diodes—they’re semiconductor devices that produce visible light when an electrical current passes through them. LEDs don’t burn out or fail; rather, they depreciate. Their life expectancy is based on when their output has decreased by 30%. LED lighting is found everywhere–Christmas lights, traffic lights, car headlights and brake lights as well as lighting in and around your home. LED lights don’t radiate heat; rather, it is drawn away via a heat sink, a passive device that absorbs the heat and dissipates it into the surrounding environment. This keeps the LED from overheating and burning out. LEDs with poor designs may begin flickering, changing color, becoming dim and providing uneven light. Avoid these issues by choosing LEDs with Energy Star ratings. An LED bulb costs significantly more than compact fluorescent lights (CFLs), or incandescent competitors, but its lifespan is dramatically longer. LED can cut your lighting energy use by 75%, and you won’t have to change the bulbs for an estimated nine years. Note that compatibility between dimmers and LED products varies widely–bad performance or product failure will occur with mismatched components. We do expect that these problems will diminish and prices will continue to come down as the technology improves. Questions about transitioning to LED lighting for your home or office? Talk to us at Roberts Electric, 510.834.6161. Tags: energy star, Energy Star ratings, energy-efficient lighting, LED lighting, prices will continue to come down as the technology improves. Roberts Electric has become a tenant improvement specialist, upgrading facilities for many retail clients throughout the Bay Area. We have become unique in the industry, skillfully moving between commercial tenant improvement projects and residential remodel and service work. We’ve completed projects at a Van’s store in San Jose, North Face in Gilroy, CVS in Burlingame, Ann Taylor, an H&M store in Fairfield and a Uniglo store in Concord. We’re also working on two tenant improvement projects for Best Buy. They need to stay open during the day to serve their customers, so we’rebestbuy working the night shift to accommodate their schedule challenges. This is not uncommon—we worked on the bar at Pyramid Alehouse in Berkeley, and when the restaurant closed, we went to work. The restaurant never missed a day of service. We make every effort to accommodate our customers in whatever way we can. We’re also doing work in Oakland’s historical neighborhood that’s being called Temescal Alley. 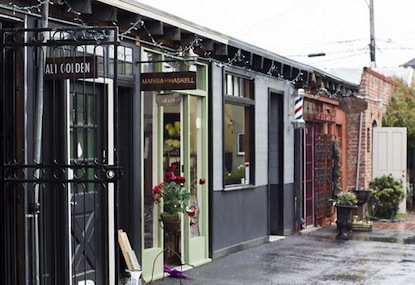 Former horse stables and carriage houses have been transformed into a miniature village of specialty retailers, including Oakland Dry Goods and Mind’s Eye Vintage. One of our favorite stops is Doughnut Dolly, where doughnuts are hand-rolled and filled to order. We love owner Hannah Hoffman’s Naughty Cream, filled with creme fraiche vanilla bean pastry cream. Roberts has worked on many historically sensitive homes and businesses over the years, and they represent unique challenges. We know that treating the project with appropriate historical sensitivity is critical. 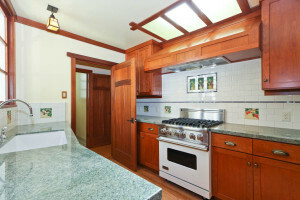 Roberts has worked on many Queen Anne, Tudor, Edwardian and Victorian as well as MidCentury/Modern homes throughout the Bay Area. Installing new wiring and new technologies into these historic residences requires a deft hand and deep understanding of best building practices. We think of ourselves as caretakers in these homes and commercial spaces, taking extra precautions to preserve historical features because we know they cannot be replaced. Thanks to HGTV, Roberts Electric’s Marc Torney has a new home. His wife, who loves to bake, insisted on a baker’s station. And yes, Marc did all the rewiring! Roberts electrician Marc Torney and his wife Rosalia were trying to buy their first home, but they couldn’t find anything they could afford in Oakland–a common dilemma for a lot of Bay Area would-be homeowners. Their real estate agent knew the producers of HGTV, who were looking for a couple for the pilot of their Power Broker program, and the Torneys were a perfect fit. They found a house that was structurally sound with a lot of potential. It got a new coat of paint, and they refinished the hardwood floors, but the kitchen and bath needed more extensive efforts–new tile, cabinets, flooring and countertops. 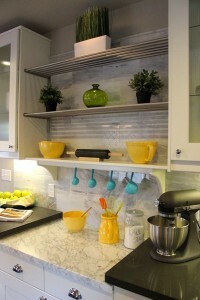 For the kitchen’s baking station, a marble slab–Rosalia loves to bake. The Power Broker team did a great job with the makeover–and not surprisingly, Marc rewired his new home himself! This residence was a conversion from a nondescript San Francisco row house to an exquisite craftsman-style jewel. It began when the owners bought some craftsman-style furniture. Later, when they began thinking about remodeling their home, they decided that what they really wanted was a house that matched their furniture. We worked closely with the contractors, architects and owners on this project to meet exacting standards to turn this project into an exquisite showpiece. The stove’s hood is mounted on the roof so the owners don’t hear the sound of the fan when they cook. All of the rooms now have overhead lighting and new fixtures. The Oaks Card Club in Emeryville has been a loyal Roberts client for more than 40 years, and they’re an example of the kind of relationship we build with our clients. The Oaks Club is a 24-hour operation with 360 employees, including bar and restaurant waitstaff. The Oaks Club has been remodeled numerous times over the years–three new kitchens, two bar rehabs, ongoing maintenance and updates to generators, air-conditioning, security and lighting systems. We’ve built a strong relationship with long-time Building Maintenance Manager Bryan Cadinha, who always turns to Roberts for the electrical work because he believes that the skill and expertise that we bring to each project transcends bottom-line considerations. Time for Your Own Charging Station for Your Electric Car? Convert to LED: Save Money, Save the Environment! Jill Vialet, founder of Playworks in Oakland, talks about working with Roberts Electric.